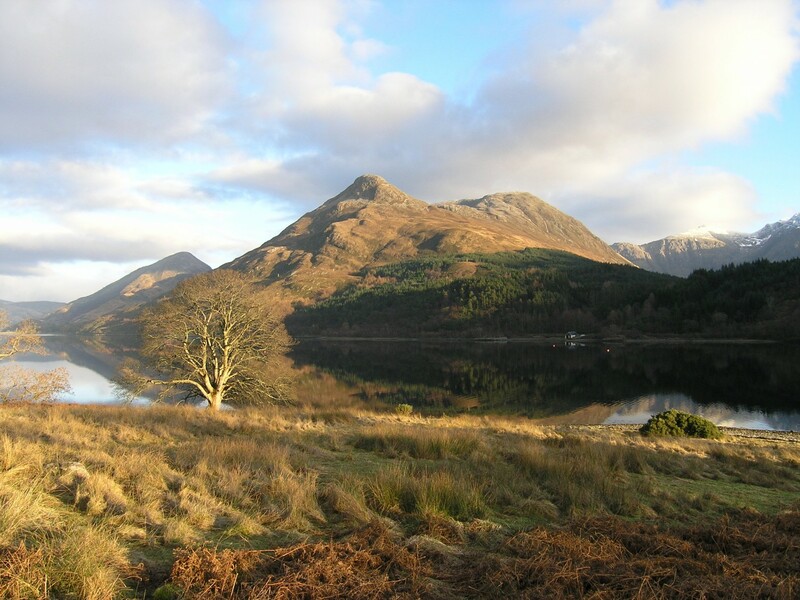 Glen Coe is a striking and dramatic glen which contrasts starkly with the flat and desolate Rannoch Moor which lies immediately to its east. 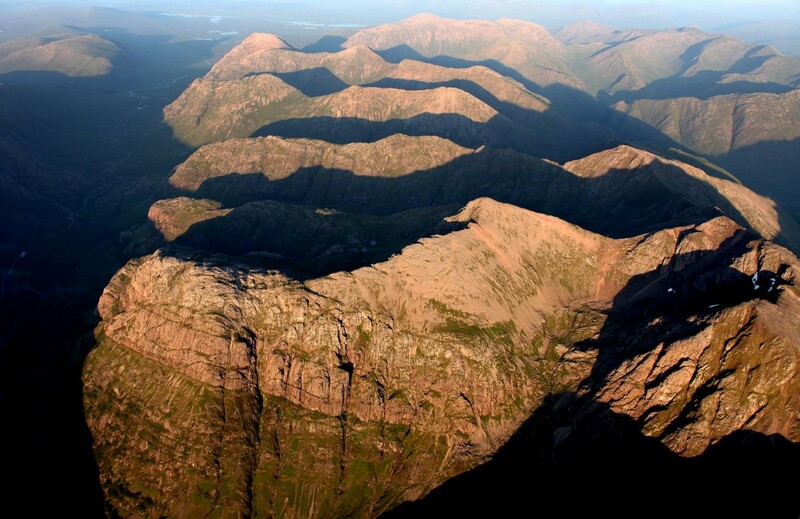 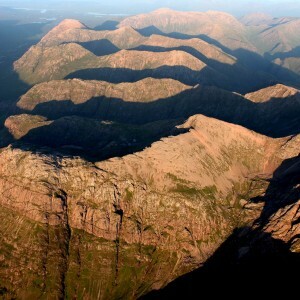 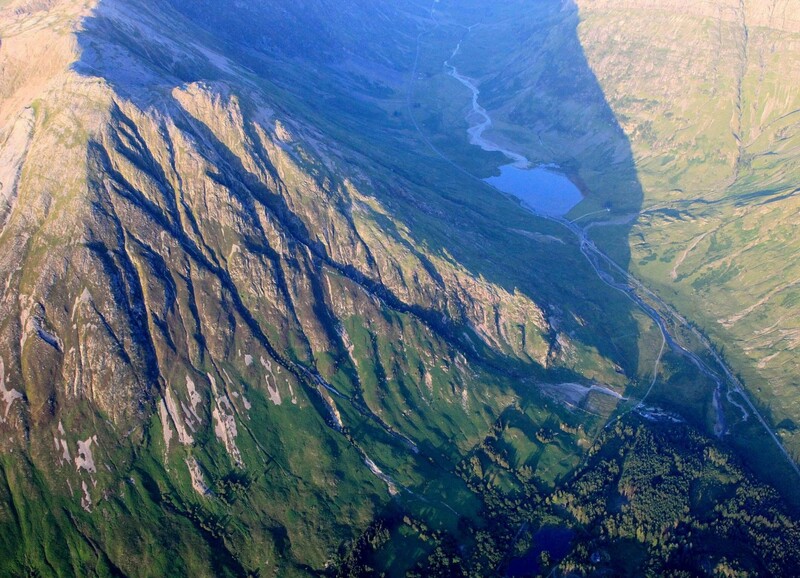 The dramatic high mountain peaks and ridges of Glen Coe show clear evidence of sculpting by glaciers. 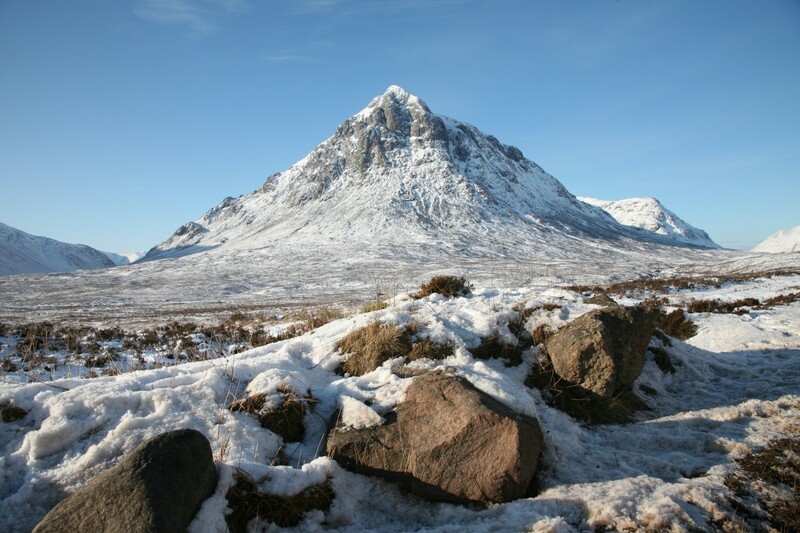 But it’s not just ice that shaped this landscape; the road through the glen cuts right through the remains of an ancient volcano. 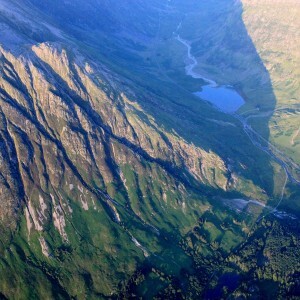 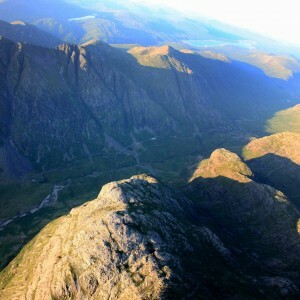 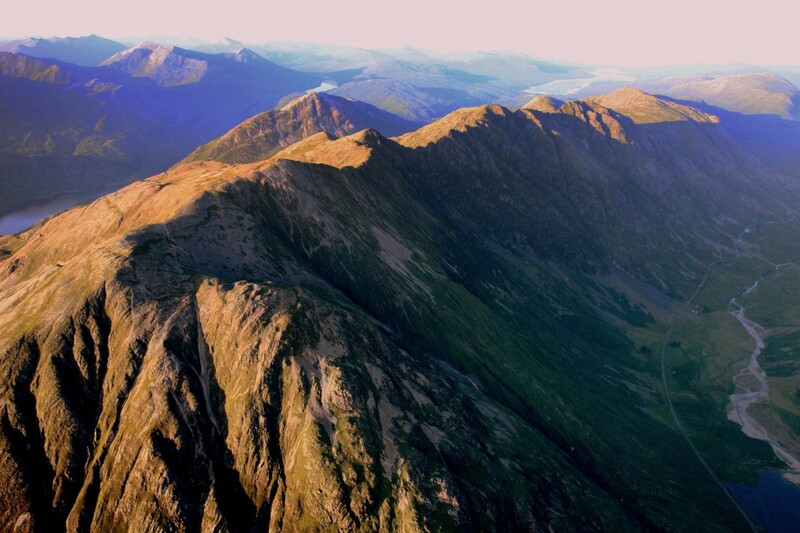 Glen Coe is a mecca for walkers, climbers and mountaineers. 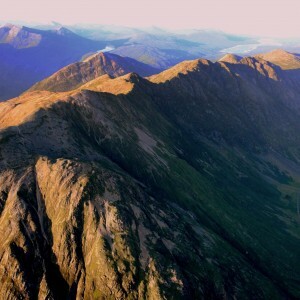 Almost all the peaks within this glen are famous, including the 3 Sisters, Buchaille Etive Mhor and the Aonach Eagach Ridge. 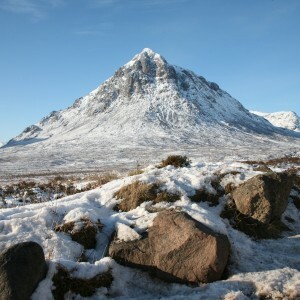 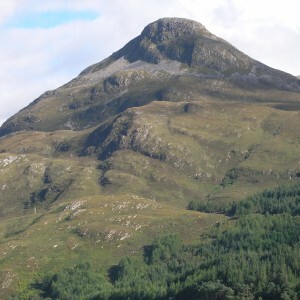 It also has a strong historical importance, with the massacre of Glen Coe taking place in 1692. 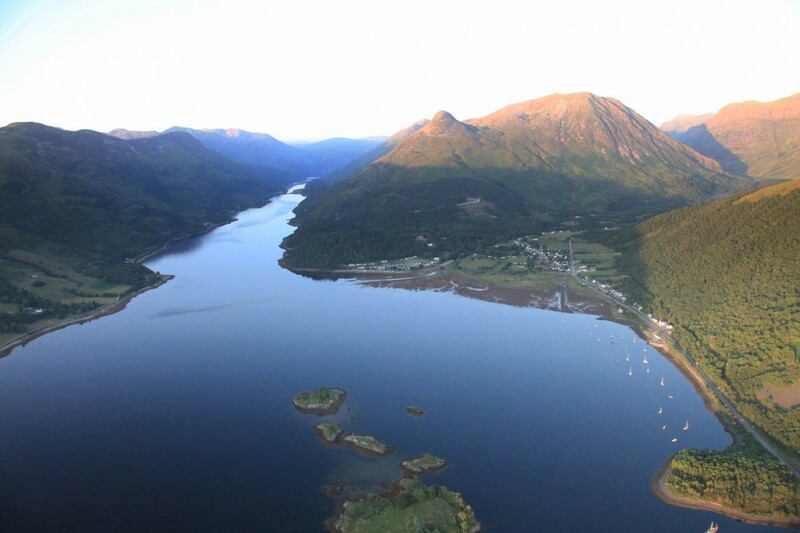 Tucked away at the western end of the glen, Glencoe village is the perfect starting point to explore the glen from. 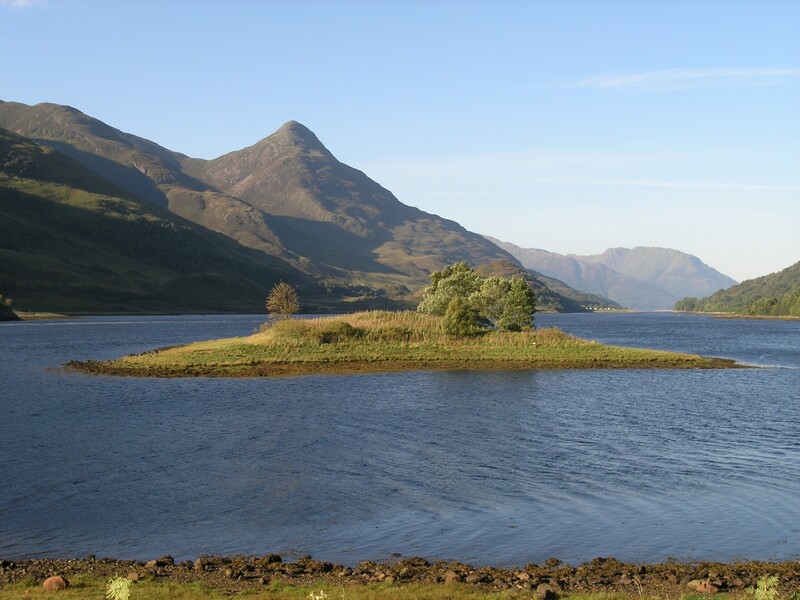 NTS Glencoe Visitors Centre offers a family friendly environment with interactive displays, information for the area, and a cafe. 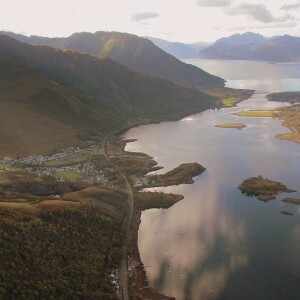 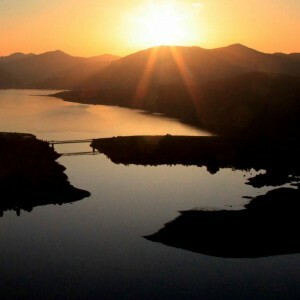 The village is split in two, with Ballachulish itself on the South Shore of Loch Leven, and North Ballachulish the other side of the Ballachulish bridge across Loch Leven. 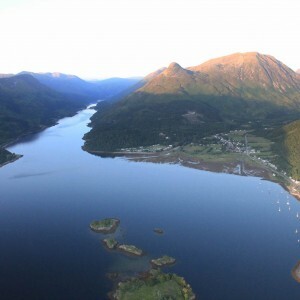 The Ballachulish slate quarry makes an excellent visit, with interpretative panels about the quarry’s history and maintained walking trails giving a great insight into its past importance. 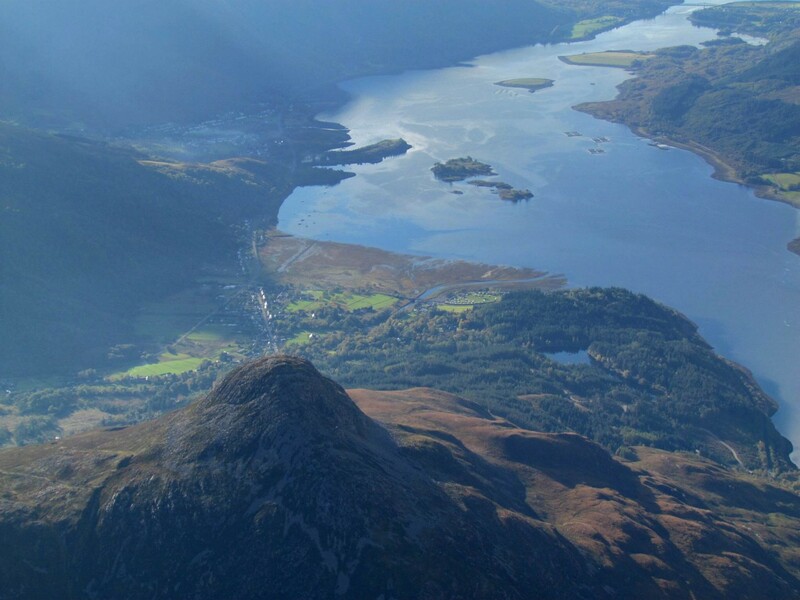 You name it, Glencoe has it. 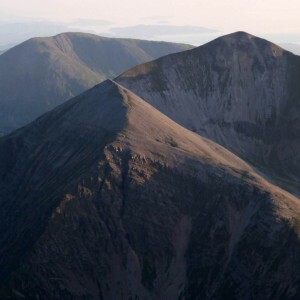 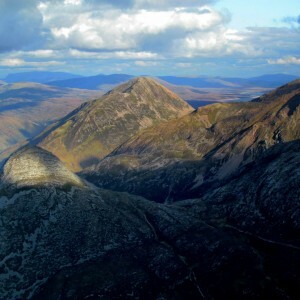 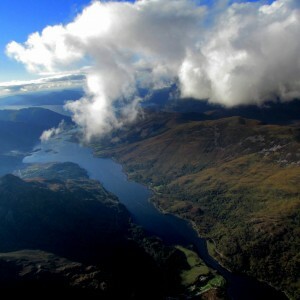 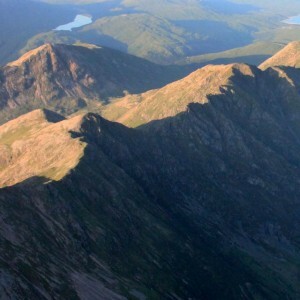 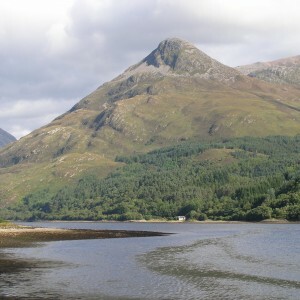 Mountains for climbing and walking, lochs for paddling and sailing. 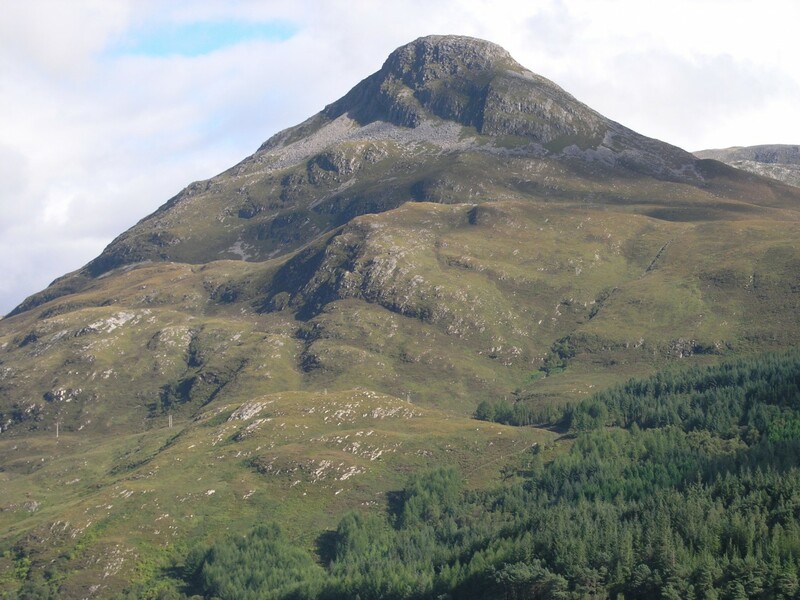 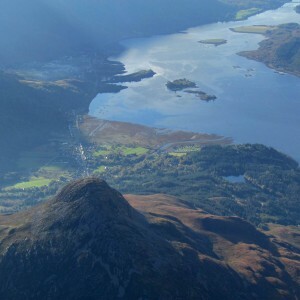 Find Discover Glencoe here for further local information on things to do and places to stay, eat and shop. 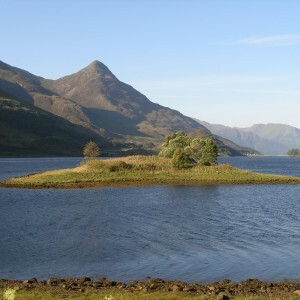 The ferry port is found soon after you cross over Loch Leven, heading north to Fort William. 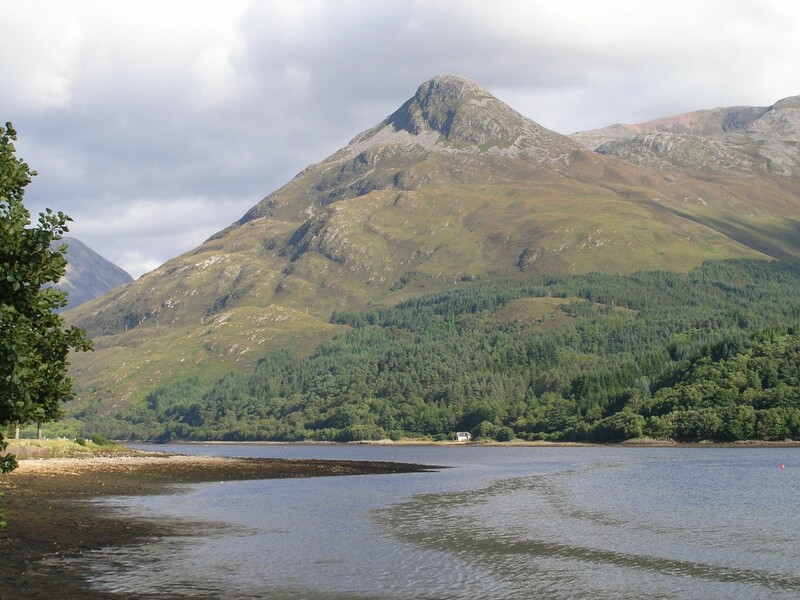 The ferry takes you to Ardgour and the journey itself, which offers a chance to see whales, dolphins and seals, is a great experience. 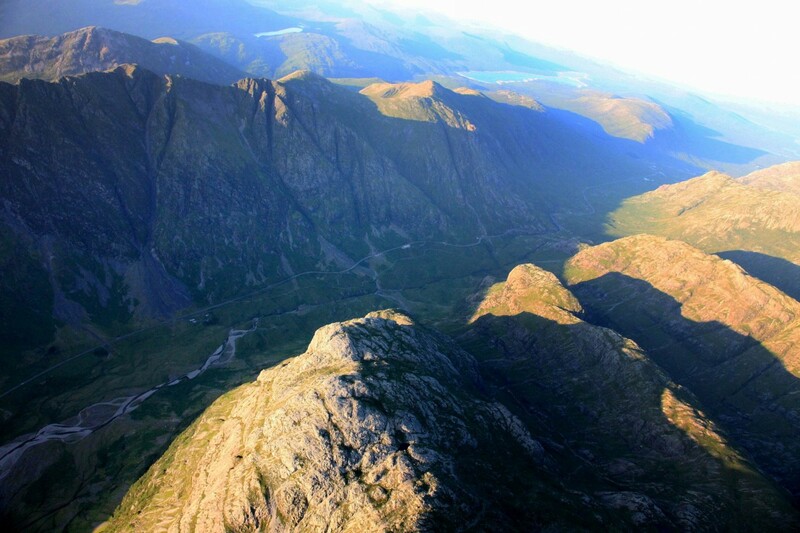 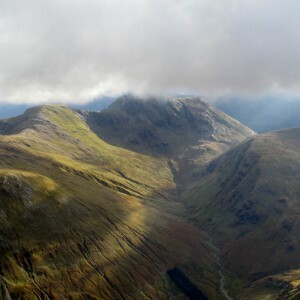 The Geotrail guide helps you understand more about Glen Coe’s fiery past as it takes you on a journey through the glen to see significant features. 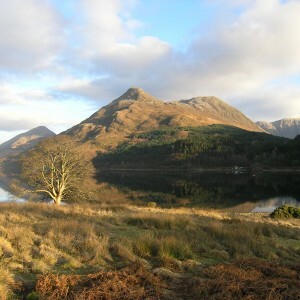 All the places described in the guide can be seen from the main road on a journey through Glen Coe from the west. 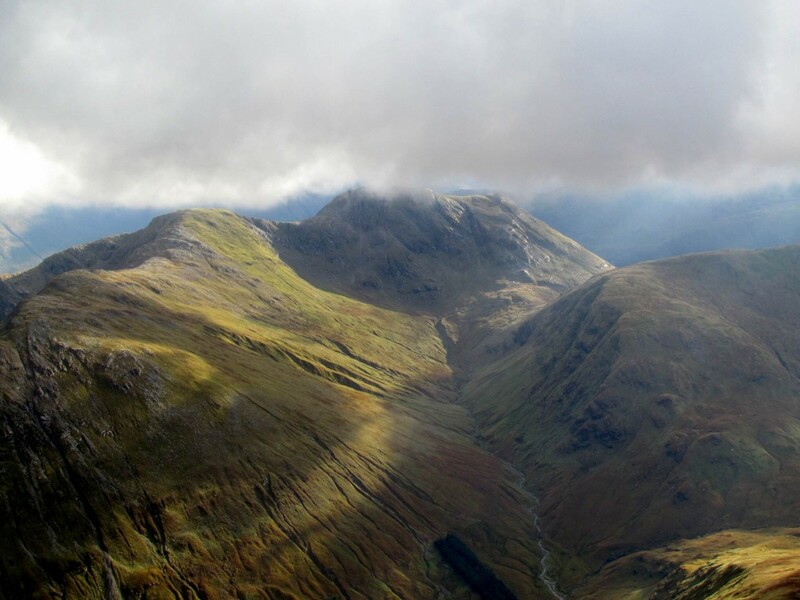 The six stopping points on the geotrail help to explain the forces that have shaped the glen we see today. 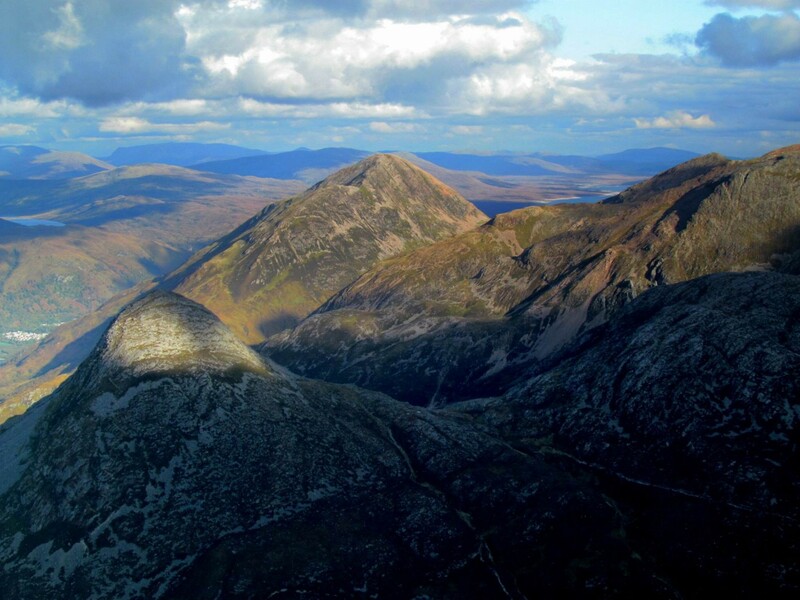 To purchase a geotrail leaflet pack just visit our shop page. 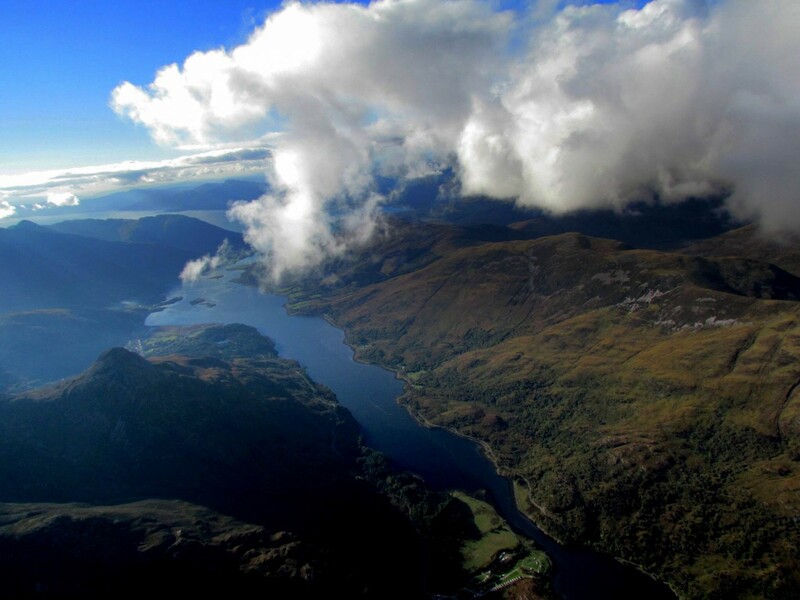 Thanks to Neil Slinger for the amazing aerial photos below!